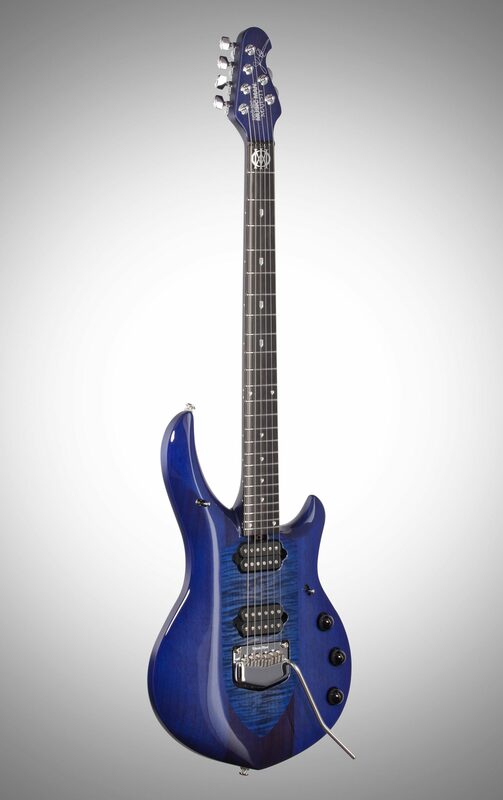 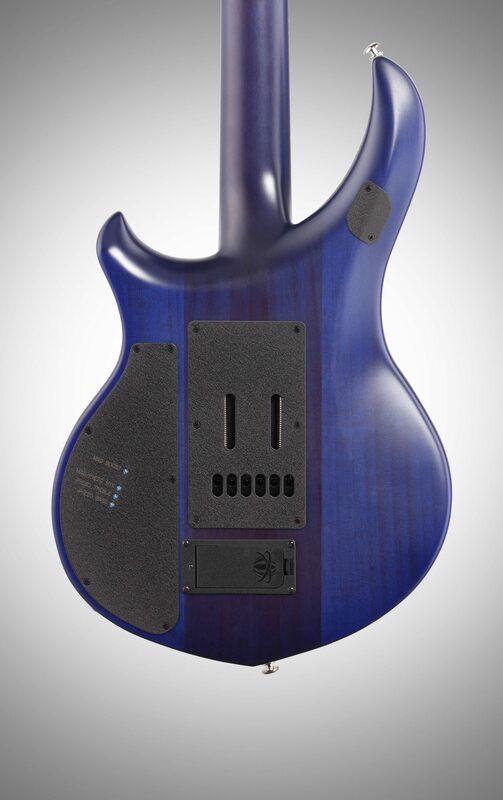 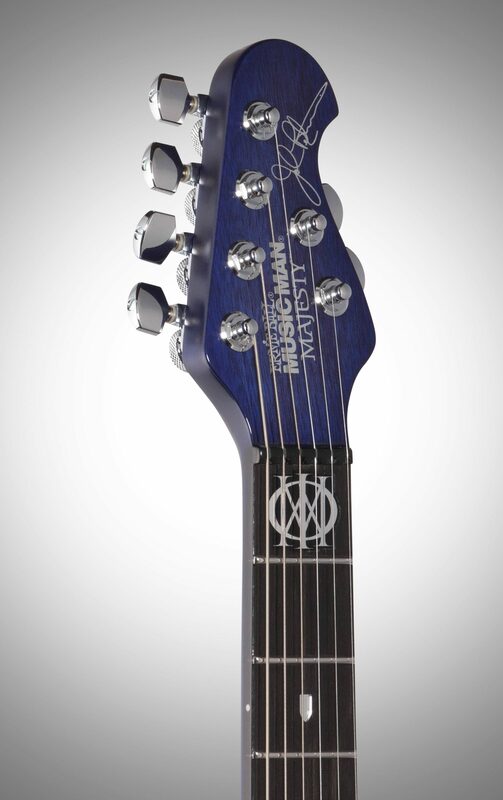 Introducing the Monarchy Series John Petrucci Majesty guitars. 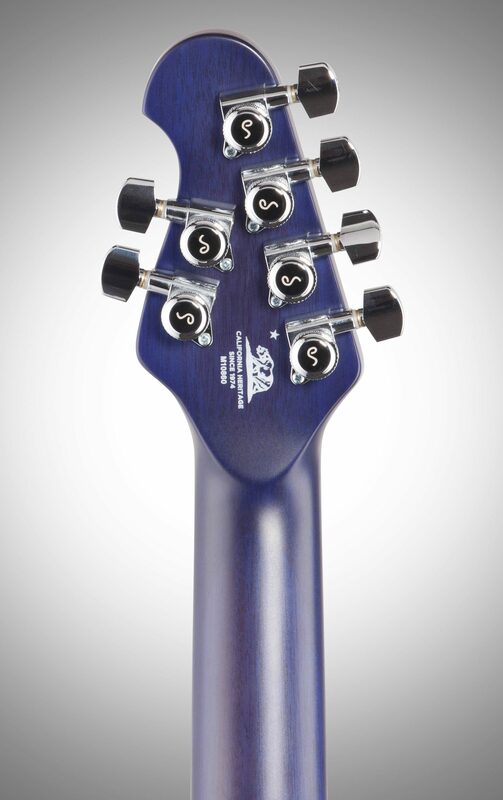 The Monarchy series feature a highly flamed maple shield seated in an African Mahogany body. 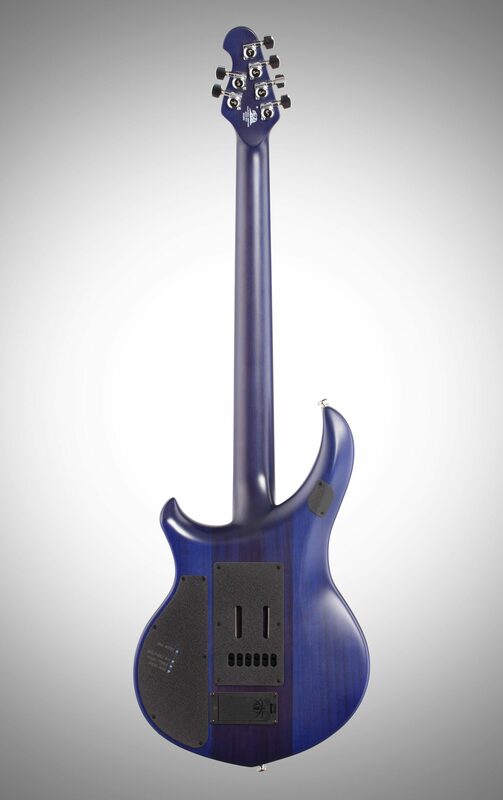 While previous models have featured a completely matte finish, the Monarchy series features a glossy finish on the front and a matte finish on the back for a luxurious look and feel. 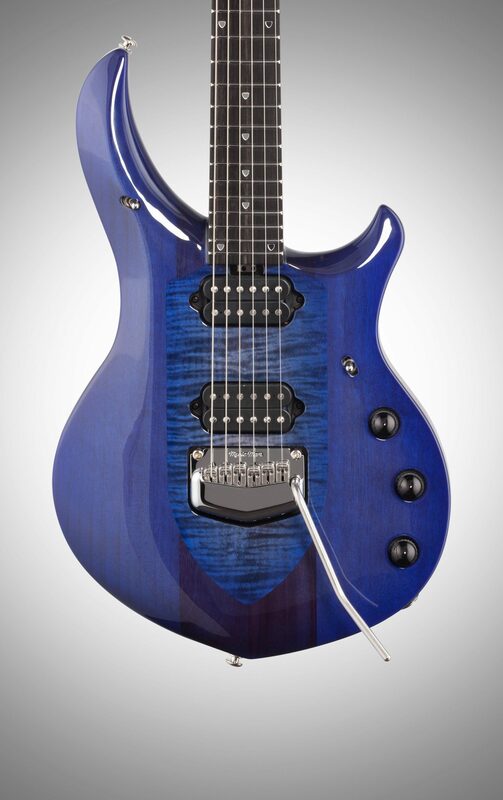 Equipped with DiMarzio Sonic Ecstasy pickups and a piezo bridge, the Monarchy series offer a versatile palette of tones.